2015 has been an interesting year in the Cannabis industry. On the enterprise front, it has mostly been about licensees building legitimate, tax paying businesses in the 20 plus states and the District of Columbia with state regulated medical marijuana programs and the 4 recreational/adult-use approved regulated state programs (Colorado, Oregon, and Washington are now fully operational while Alaska continues to develop its program). It has also been a year for these legally, licensed non-profit and for-profit businesses to develop and institute best practices, all with the end goal of running a healthy and successful ongoing concern that contributes to the economy by creating jobs for thousands of tax paying citizens and supporting local, state and federal initiatives by paying their inordinately high share of businesses taxes. State approved and regulated operators continue to face federal government interference in the form of prohibitive actions regarding access to federally chartered and insured banks (The Fed Crosses the Line: Fourth Corner Credit Union Denied) and unequally applied Federal tax enforcement issues, ie: 280E. And, unlike other industries, cannabis operators have to navigate a variety of other conflicts between state and federal laws. In the Golden State, California, (with arguably the 7th or 8th largest economy in the world), cannabis is still largely unregulated (with the exception of the Bay Area and a few friendly locally regulated pockets in northern CA) creating all kinds of issues for operators trying to run legitimate medical marijuana co-operatives in the face of raids and significant intrastate transportation issues. It’s a mess in a state that some estimate produces as much as 60% of the legal and illegal cannabis consumed in the US annually, but the recently signed regulations by Governor Jerry Brown are an encouraging sign for medical operators in the state. With all of that in mind, CBE is following up last year’s inaugural CBE 100 with the, as promised, 2015 list which is based more on real quantitative data (Washington win’s the award for the most transparent state by reporting I502 licensee revenues and taxes on a monthly basis), interviews with industry operators from most of the legal and quasi-legal medical and recreation regulated markets that have shared their best practices, and vendor partner information with CBE over the last 12 months, and by piecing together information from a variety of public sources. We would like to thank all of those who have made this year’s list. CBE believes that transparency helps establish industry legitimacy where operators are still viciously stymied and, in some cases, heavily penalized by prohibition supporters or just plain old mean-spirited local, state or federal prosecutors or overzealous, corrupt and ignorant law enforcement officials or criminal justice and penal system workers who have been spoiled by the overtime dollars their departments receive annually from the federal war on drugs. We also want to especially thank our contributing experts, many of whom either work for legal operations, ancillary businesses our regulatory authorities and industry friends that have pointed us in the right direction to share the information on the 2015 CBE 100 PPRs in hopes of attracting investment dollars from the US capital market system to prime the pump for the fastest growing industry in the country. Following the tradition and franchise established with last year’s CBE 100, CBE Political 50, CBE Most Influential Women, and The 10 Most Important Companies in the Cannabis Industry there ultimately will be four components to the 2015 list series released over the next several months. The CBE Political 100 which is composed of the 100 most influential federal & state regulatory, policy and political players. My friend Matt Karnes, Founder and Managing Partner at Green Wave Advisors, LLC, released the Second Edition of Green Wave Report just last week that reviews current trends and projections for the legal cannabis industry. For those of you interested in the development potential that the industry represents, Green Wave Advisors has increased its 2015 estimate of retail sales in legal markets from $3.6 billion to $4.8 billion, up 50% from what they reported in 2014. They have also raised their industry forecast of revenues to $25 billion by 2020 in light of rapidly evolving statewide initiatives toward both medical and recreational acceptance and regulation from the $20 billion they had projected a year earlier. The report also notes that capital investment flowing into the industry has increased from $300 million YTD through Sept in 2014 to over $400 million for the same period of 2015. The report is bullish on the Infused product sector composed of edibles, oils, tinctures, salves etc. as consumption patterns and habits are evidenced by the 30-50% that they represent in several regions. This year’s CBE 100 PPRs represents nearly a billion dollars of reported revenues from only a fraction of the licensed operators in the country. Most are privately held firms (many not-for-profit in medical only regulated states), not currently listed by any exchange, a goal of CBEs from the outset, in light of the large number of scam and non-revenue producing OTC traded stocks that have given the industry a black-eye and attracted a good amount of private and individual investment dollars. 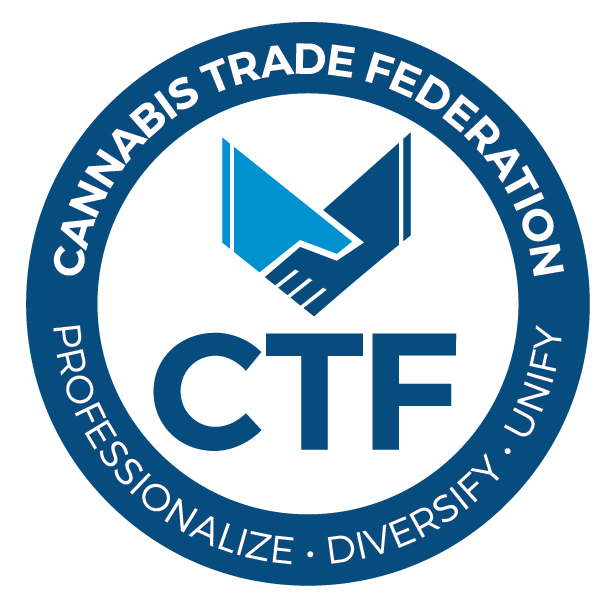 We hope this year’s list will help private, individual and institutional capital flow to the owner operators that are building the next great American industry and leading the way to the worldwide end of prohibition. One exception to this year’s list is GW Pharma, the publicly traded cannabis pure play pharmaceutical company (with its new US HQ in California), listed on the NASDAQ and, which according to its quarterly financial reports, will do some $35 Million in worldwide revenues through the first 3 quarters of 2015. Leading Processors on this year’s list include some of the established brands like: O.penVape, Dixie, Bhang Chocolates, GFarma , Golden Leaf, Kiva, and VCC Brands. Leading Retailers and Fully Integrated operations include LivWell, Native Roots, Harborside Health Center, SPARC, Colorado Harvest Company (part of the O.penVape family) and Nature’s AZ Medicines. Congratulations to the 2015 CBE 100 PPRs Top Ranked Company, LivWell Enlightened Health, based in Denver, CO, CEO John Lord and the entire dedicated team of 500 plus employees that have seen 2015 revenues double to over $80 million. The vertically integrated company operates out of their 140,000 sf HQ in Denver which houses a grow and a processing plant to produce their line of infused and edible products and their 12 retail locations in the state of Colorado.They plan to add additional outlets in and out-of-state in the not too distant future.